Chattanooga is a lot of things to a lot of people, a city of much distinction. It was immortalized in a 1941 song by Glenn Miller, “Chattanooga Choo Choo.” It has its own typeface, Chatype. It shares the Lookout Mountain ridge, a noted tourist attraction, with the neighboring states of Georgia and Alabama. The opening of a Volkswagen assembly plant in 2011 brought about 2,000 new jobs and a soccer connection that stretches back to Germany’s Bundesliga and the company’s world headquarters in Wolfsburg. And it was the journalistic proving grounds for Adolph S. Ochs, who became the owner of The Chattanooga Times in the late 19th century and in 1896 purchased a money-losing broadsheet up north, The New York Times. There is history in the hills that surround the city of an estimated 544,000 people, the fourth largest in Tennessee. In the heart of SEC country, NASCAR country and the Bible Belt, an unlikely soccer success story has been playing out since 2009 on the artificial turf field of Finley Stadium. 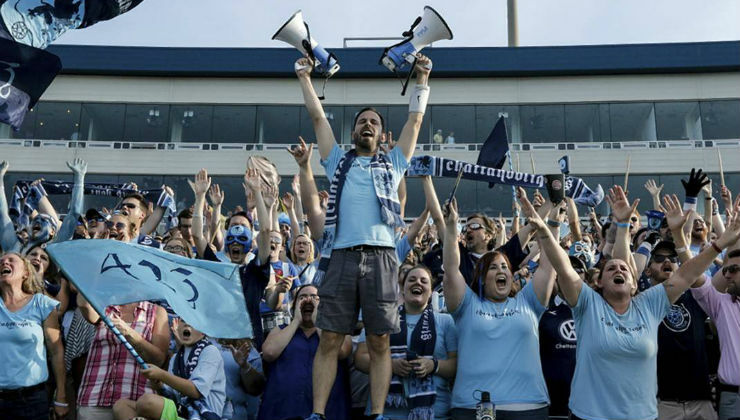 Chattanooga FC, an amateur team that plays in the unofficial fourth tier of American soccer, the National Premier Soccer League, is a dynasty without a king, an empire without an emperor – perhaps the best-kept secret in American soccer, until now. Last Saturday night, the club hosted the NPSL Championship match before a record crowd of more than 18,000 fans and a national (dare we say global) audience on YouTube. It was Chattanooga’s fourth trip (second consecutive) to the league final, all without the opportunity to lift the trophy. The most recent disappointment came at the hands of the Cosmos B team, the first-year offshoot of the NASL’s New York Cosmos, 3-2, after extra time. Chattanooga presents an interesting laboratory that shows the steady and sometimes surprising growth of soccer in areas not previously thought to be interested in the sport. There is no competition from any other team in a major American sport, though the coming of the college football season tends to garner huge attention. 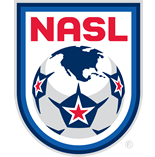 With more than 60 teams in 29 states, the NPSL is a semi-professional league that also is home to four reserve or youth teams affiliated with NASL clubs – the Cosmos B team, the Carolina RailHawks, Minnesota United FC and the Atlanta Silverbacks. It is up to the clubs whether to provide players with a stipend, or only recruit amateur players – mostly college guys who do not want to jeopardize their eligibility. At Chattanooga, the club helps its all-amateur squad find outside summer employment at local businesses or through the club’s soccer camps. The players train three days a week during the summer, usually in the evening after work. For example, goalkeeper Gregory Hartley, a native of Manchester, England, who featured for that club’s FA Youth Cup winning squad in 2008-9, came to the U.S. to attend college and just completed his fourth year with the club. For the second year in a row, Hartley has won the league’s Golden Gloves Award as the NPSL’s top goalkeeper. The roster also includes players from Brazil, Liberia, South Africa, and Spain who came to the U.S. to attend college, often at institutions that are far off the radar. Perhaps the player with the highest collegiate profile is the striker Michael Brooks, who played at Clemson. “A lot of our board members and staff had relationships with a lot of the NAIA schools around here,” Kelly said. “Chattanooga has a tremendous amount of pride. It’s kind of like an us against the world mentality. It plays to our advantage. It’s the purest expression of civic pride. Now we’ve managed to convert the local sporting press. We were on the front page of the sports section, a great piece by one of the old dogs of sports in town who never paid soccer much mind. He said we essentially won the championship, though I wish we had prevailed on the field. We’ll get one. With the growth of the game in the U.S., both professionally, in college and among young players, Chattanooga FC finds itself in an enviable position – it is essentially the flavor of the month. It is a successful, well-run organization that is content to do what it does, and do it well, while also considering the next move. The club could, of course, stay in the NPSL as long as it chooses or contemplate a move up the ladder, which would require an investment in players and infrastructure, and could perhaps change the club’s character in unforeseen ways. The US women’s national team, fresh from winning the Women’s World Cup last month in Canada, will face Costa Rica at Finley Stadium on August 19 as one of the games on its Victory Tour. The goal is to maintain the soul of the club. In 2014, Chattanooga hosted an NPSL Semifinal match that drew almost 9,000 fans. This year, the final was off the charts.